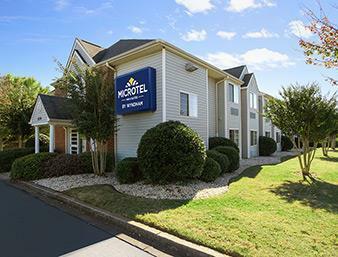 This Microtel Inn by Wyndham Duncan/Spartanburg is just off Interstate 85, close to restaurants, shopping, Wofford College, Converse College, golf, parks and outdoor recreation. Nearby corporate offices and industrial parks include BMG, BMW, Cryovac, Lear and Nabisco. The Greenville Spartanburg Airport is just 8 miles away. This hotel offers amenities like complimentary wireless Internet access, complimentary continental breakfast including hot items, onsite fitness center, business center, copy service and guest laundry, as well as large-vehicle parking. Spacious guest rooms feature hairdryer and guest-controlled heating and cooling, and select rooms feature microwave and refrigerator, ideal for longer stays.